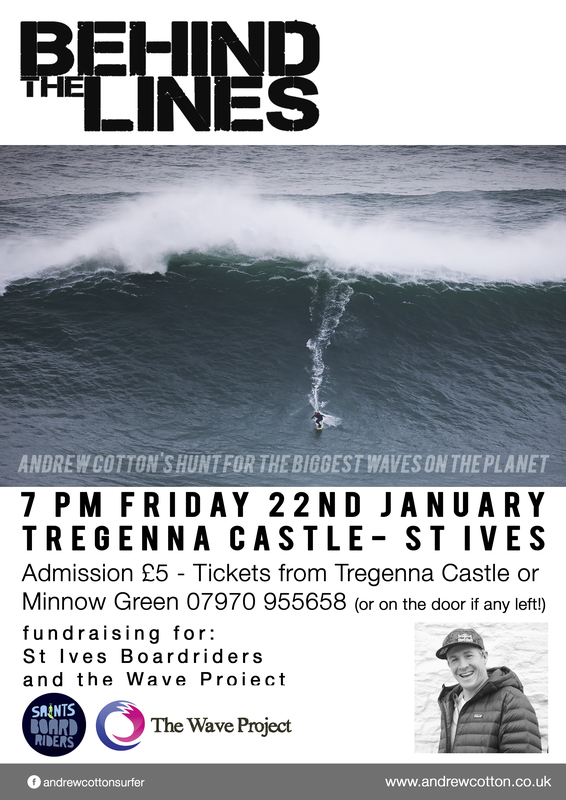 Tregenna Castle hosted a great little film show last Friday night which saw the Cornish debut of Andrew Cotton’s latest feature, ‘Behind The Lines”. An enthusiastic crowd of over 80 shared the thrills, spills and terrors of Andrew’s big wave challenges in a documentary which also gave a detailed insight into the training, preparation and teamwork behind those challenges. Saints Boardriders hit the big screen! Before the main feature, we were entertained by a slideshow of stills from our Saturday morning Kids Club and a delightful short film about the work of The Wave Project, told beautifully through the words of some of the children who have blossomed under their scheme. 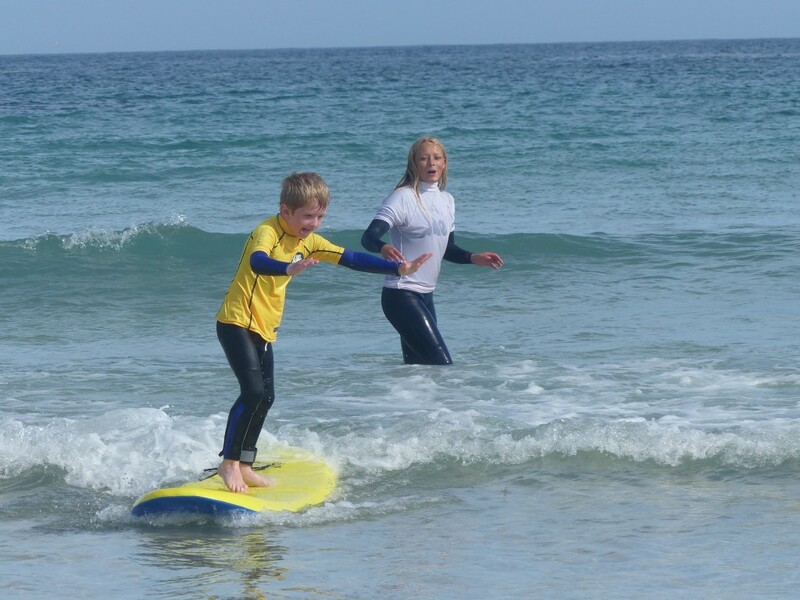 We were proud to be joint beneficiaries of the evening’s fundraising with The Wave Project – who also share the Saturday morning attention of the St. Ives Surf School instructors with us! 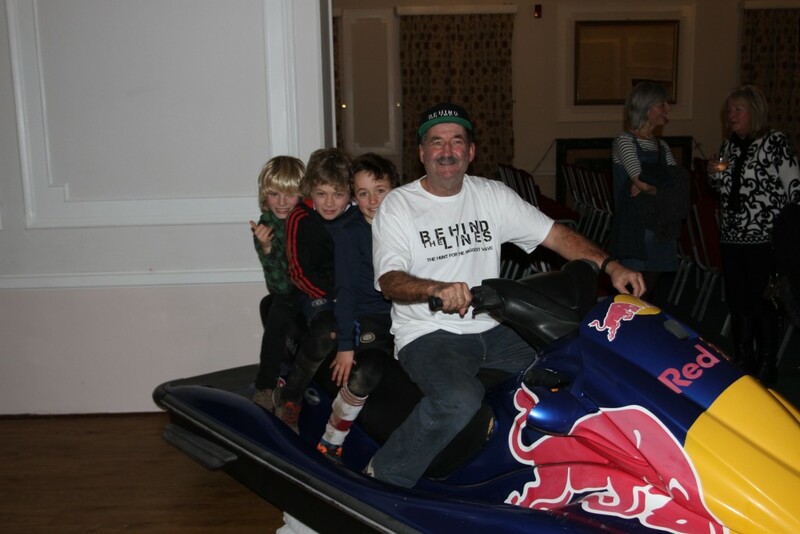 The only way to arrive at a surf film show! ‘Behind The Lines’ was filmed principally in two big wave locations – Nazare in Portugal and Mullaghmore in Ireland. It showed the behind-the-scenes preparation of the equipment and the jet ski teams, the study of weather charts and forecasts to predict local swells and how the team assembles from the various part of the globe they call home when “it’s on”. We also got an insight into the physical and mental training that keeps Andrew in shape while waiting for the call. The footage of the wave-riding itself was awe-inspiring – both the sight of waves the size of tower blocks being ridden, and the bravery and skills of the surfers and the safety crews in the water testing themselves in this hostile environment. 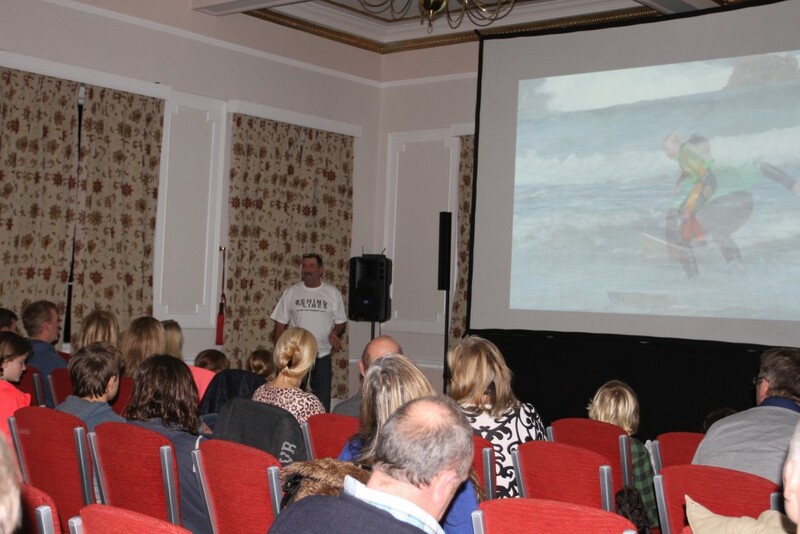 In an ironic twist of fate, Andrew had expected to be present on the evening to introduce the film and answer questions from the audience afterwards – but the weather charts came into alignment and Nazare was declared”On” the day before the show and Andrew flew out to join the crew for another big wave challenge. Fortunately, Minnow Green of the British Longboard Union, who has spent some time with Andrew’s big wave crew, was on hand throughout the evening and at the aftershow to answer any questions. I didn’t hear anyone asking where you sign up to join the crew!! 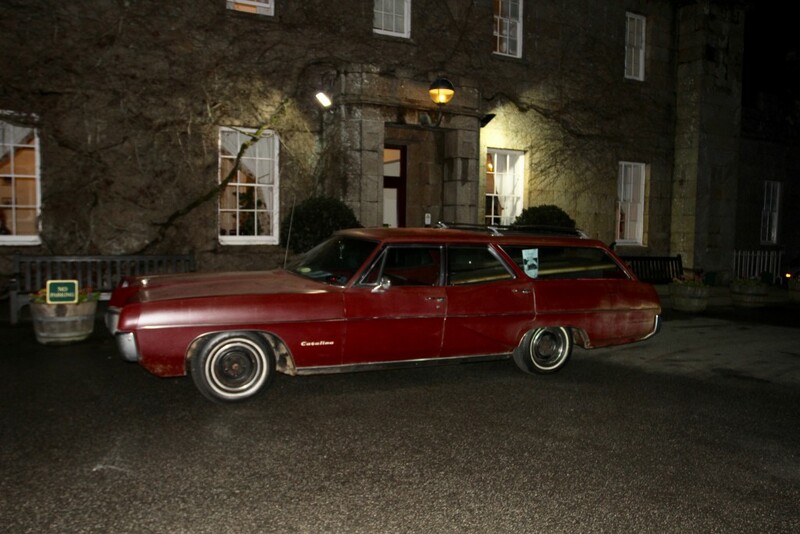 So – Many thanks to Andrew and Minnow, and to Tregenna Castle for hosting the show. Thanks also , on behalf of Saints Boardriders, for making us one of the beneficiaries of your fundraising and giving us a great evening’s entertainment! 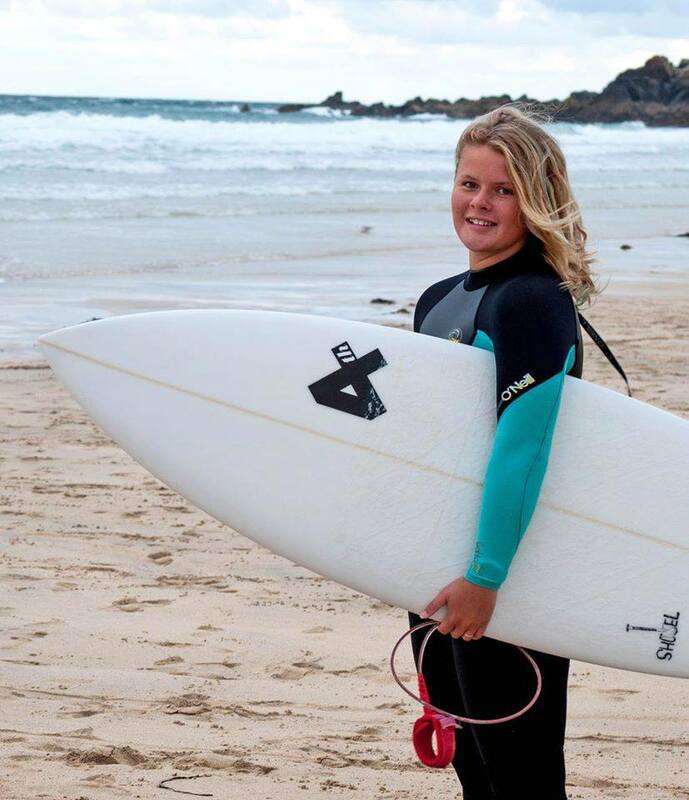 There were more St. Ives surfers than usual tilting at UK Tour glory in 2015 with several youngsters having their first taste of the national scene. Here’s how everyone got on, beginning with our most successful competitor of recent times, Jayce Robinson. Well, he had finished 2014 as the UK Tour champion and also took out the prestigious Wavebreaker Series. Could he repeat the feat in 2015? In the last event of the season, and the final event of the Wavebreaker Series, Jayce found his score tied for first place in that contest at Lynmouth. Competition rules state that in the event of a tie, the surfer with the highest single wave score wins. In this instance, that gave Jayce second place – enough to take the three-event Wavebreaker Series, but leaving him as runner-up on the UK Tour. First place would have seen him retain both titles! So close! Both Jayce and Harry De Roth also made the semi-finals of the Mens Open at the Boardmasters against some strong international opposition in August. At the Pro Junior division ( 20 years and under), Harry stormed to the UK title with two first places and a second in the three events of the tour. He showed a similar dominance in the Under-18 boys division with four wins and a joint first in his five counting scores. He’s gearing up for a European campaign in 2016 as well as bidding to represent TeamGB at the World Juniors, and England in the European championships! In her first full season campaigning on the UK Tour, Melodie Shakespear earned 10th place on the Womens’ tour, and fourth in the Under-18 girls. Both credible finishes against some seasoned competitors. Charley Fox ( Main picture) dipped her toes into the competitive scene in the Under-16 girls division, earning a tenth place on the tour from her only event of the two available. Similarly, in the Under-14 Girls, Charley won the one event she contested, giving her second place in that division. A great debut season! Taylor Bairds made his debut in the Under-14 Boys with a sixth place tour finish, and also earned fourth place on the Under-12 Open tour – his highlights being a semi-final place in the Boardmasters Under-12’s, and a second place in the English Schools. Dylan Cole Nell also had a go in the Under-14 Boys division, finishing 15th on the tour. He too could have finished in the top ten had he contested more events! 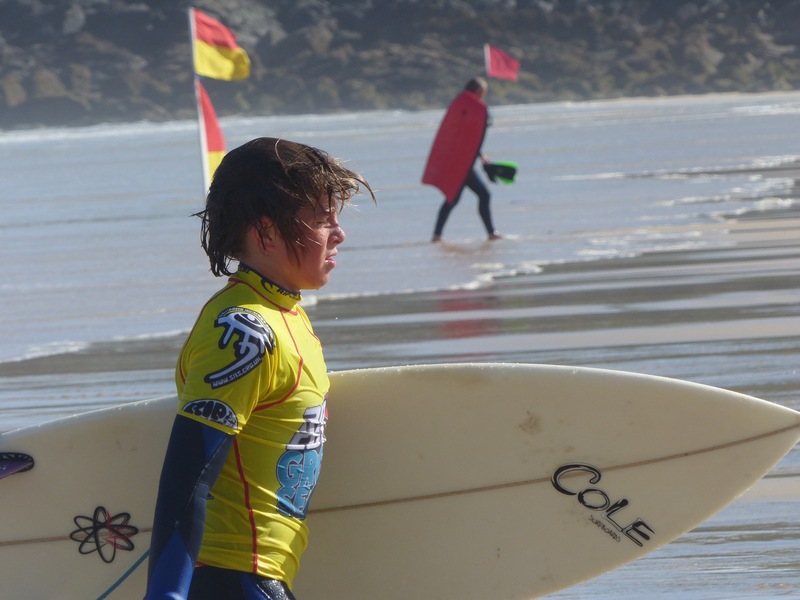 Here’s wishing “Good Luck” to all St. Ives surfers who compete in 2016.